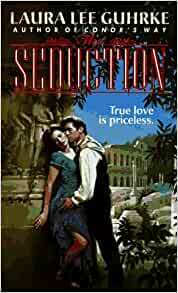 Commencez à lire The Seduction (English Edition) sur votre Kindle en moins d'une minute. The vivid portrayal of intense hurt, love, and pride evoked some of my own painful realizations as I grew up. That lonely, chubby debutante's dejection at her empty ballroom tore at my heart. Definitely a story hard to put down. Warning: do not start late, or you'll lose sleep. A keeper. 5,0 sur 5 étoilesSo totally love this, as this is just as titled - love his seduction.. I like all her books , great stories!! Waiting for her next one !! This book is AWESOME.. takes alot to keep me into a book, and this one did it. I loved it. Keeps the interest flowing.